“All faculties are concerned about funding,” said Professor Catherine Barnard. “Brexit doesn’t just take us down a dead-end, it takes us into the danger zone”, said Dr Victoria Bateman. 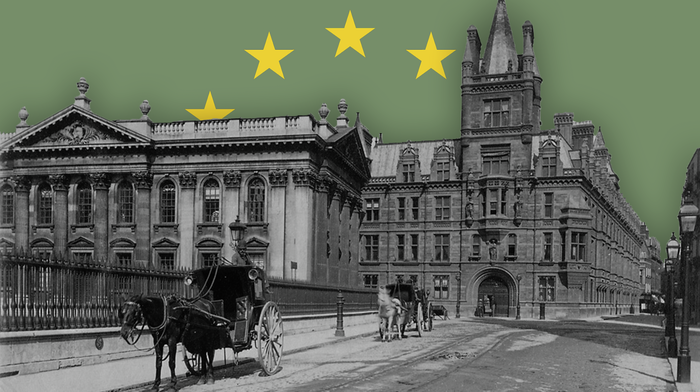 In light of the current uncertainties surrounding Brexit, Varsity has spoken to several academics at Cambridge about their opinions on the UK’s departure from the EU and its effects on the University and higher education. Research was a primary point of concern for many, with both funding and collaboration across Europe potentially affected. Cambridge is likely to be particularly affected by any changes in funding from the EU. According to the University, EU research grants account for almost 18% of Cambridge’s total research income, with the University receiving an average of around £60bn per year in new grants and awards in recent years. Professor Gerard Evan, Head of the Department of Biochemistry, said that some of “the most obvious casualties” of Brexit will be the loss of certain EU funding sources. The ERC is part of the Horizon 2020 funding programme. The UK government has given assurances that it will fund any programmes enrolled in the programme up until 2020, but no framework has yet been confirmed for future funding partnerships. ERC grants account for nearly 60% of the University’s EU research funding, and therefore around 10% of Cambridge’s total research income. According to the University, Cambridge and Oxford, which receive equal levels of funding, have more ERC grants than any other university in Europe. Professor Hanka, alongside Professor Robert Tombs, Emeritus professor of French history at St John’s, both advocate a no-deal Brexit. They recently, alongside 13 other academics, co-wrote a letter in The Guardian criticising what they view as the scaremongering of certain higher education bodies, including the Russell Group, about the effects of Brexit. He is concerned that the UK government will focus on “worth-generating projects”, and that it will not properly understand the nature of innovative research. Whilst the details of immigration plans after Brexit have yet to be determined, freedom of movement is one of Prime Minister Theresa May’s ‘red lines’, meaning that she intends any future relationship with the EU to at least partially restrict immigration between the UK and the EU. 20.3% of Cambridge staff (2,459) are from non-UK EU/EEA countries and 24% of its postgraduate students (2,462) are non-UK EU/EEA nationals. Silke Mentchen, a Senior Language Teaching Officer at the MML Faculty, acknowledged that the effect of Brexit on the recruitment of academics to the MML Faculty is “impossible to predict”, but warned that “not knowing how a country will be governed is not necessarily conducive to academics wanting to work in that country”. Although the number of undergraduates from the EU at Russell Group universities increased marginally, by 1%, in the past academic year, the number of taught postgraduate students fell by 5%, and the number of postgraduate research students, on whom many science departments rely, saw a 9% decrease. Professor Evan, however, is a critic of lax attitudes to student recruitment that place confidence on the University’s standing. “It won’t be places like Cambridge that suffer immediately”, he said, but raised concerns that damage would be done throughout the UK’s higher education sector, eventually harming every institution. However, both Professor Tombs and Professor Hanka emphasised the democratic effects of Brexit. In May the University released a report on possible strategic responses to four Brexit scenarios, covering the issues of funding, people, collaboration, commercial operations and infrastructure and buildings. Stephen Toope said in October: “There should be no doubt about Cambridge’s place in the world. We are and will remain a global university."